Our 2 day scrambler to climber course is for the competent scrambler (grade II), who is looking to venture into grade III terrain and easy rock climbs. 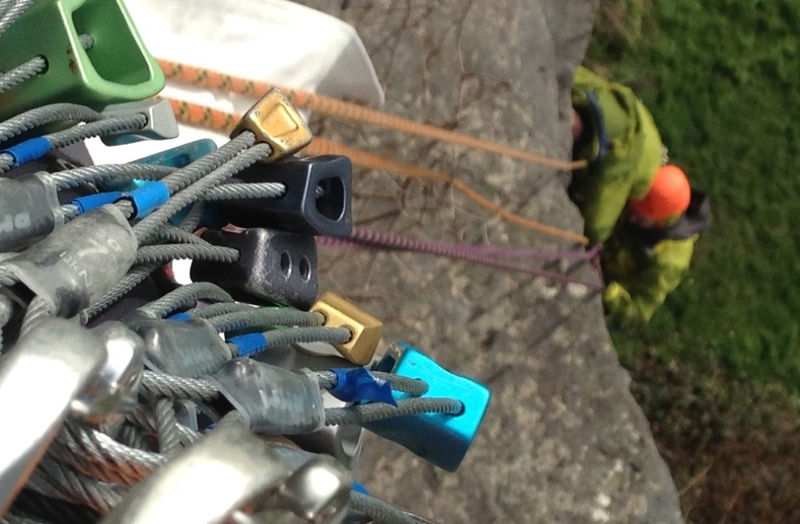 Here you will learn the skills necessary to tackle easy rock climbs, and keep yourself safe. We will be looking at building up your confidence on grade III scrambling terrain and some easy rock climbs. Specifically looking at belaying, gear placement, and rope management. And how to keep each other safe. The scrambler to climber course is 2 days long, and is run in North Wales. Our client-to-instructor ratio does not exceed 2:1, so that we can give you our fullest attention. You will need to have completed some Grade II scrambles. Also, basic map-reading skills would be useful, but not essential. A reasonable degree of fitness is expected, but rest assured this is a course in scrambling, not fell-running! Each day of our scrambler to climber course we would introduce the topic of weather, and ability, and how this would affect venue selection. We will briefly the use of a map and compass, and what sometimes can be complicated, route finding. We will be scrambling up grade III terrain, introducing gear placement, belaying and building anchors, and looking at rope management. We will be using the skills learnt on day one, and do lots more scrambling over grade III terrain or climbing on easy graded climbs. Looking at efficient movement, rope management, and route finding. And of course, do some abseiling. If you are unsure that the scrambler to climber course is suitable for you, please do not hesitate to contact us on info@riseandsummit.co.uk or call us on 07775 853 348, and we would be happy to help.